Aerial view of Mitchel Field looking northwest. 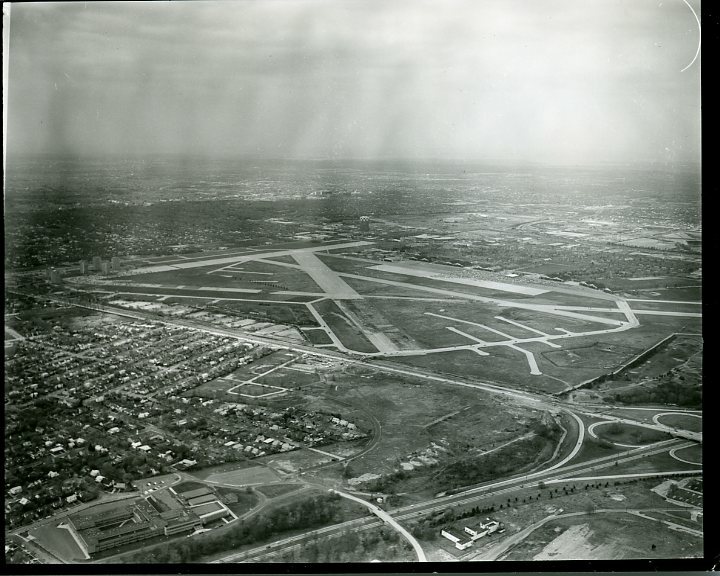 Runways are in middleground; parts of Hempstead Village and Uniondale are south of Hempstead Turnpike in the foreground, at left; parts of Hofstra University campus in middleground, at left; Meadowbrook Parkway interchange at Hempstead Turnpike at bottom right. 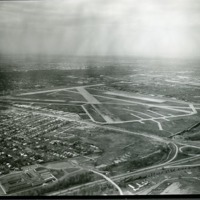 “Aerial view of Mitchel Field, looking northwest,” Hofstra University Library Special Collections: Digital Collections, accessed April 19, 2019, https://omeka.hofstra.edu/items/show/665.